Follow this link for more information and to pay online! The Library seeks a highly motivated and technology savvy, public-service-oriented individual to provide tech support to library patrons and staff. The Library is looking for a candidate who works well with all kinds of people and understands the transformative value of a library to its community. JOB REQUIREMENTS: Graduation from an accredited college or university with an Associate’s Degree and major coursework in computer operations, and at least 1–3 years of related experience, with some public library experience preferred. See the online application for more details about the position. Schedule may include evening and weekend hours. WHY JOIN OUR TEAM: This is a rare opportunity to work at an exceptional public library. Waukesha Public Library champions the power of reading and learning to enrich, empower, and engage all in our community. The Waukesha Public Library’s Service Values guide our work and our commitment to serve everyone. The Library offers an inclusive work environment and a competitive salary. The 2019 salary range is $25.27 per hour to a maximum of $34.11 per hour achieved through merit increases. In addition to the online application, please attach a letter of interest to Bruce Gay, Library Director. We are thrilled to welcome back the Pewaukee Area Arts Council Showcase of Art! More than 500 pieces of art, created by Waukesha County students and teachers, is on display at the Library through the month of April. Prepare yourself to be impressed by all our local talent! Anime and manga lovers unite! 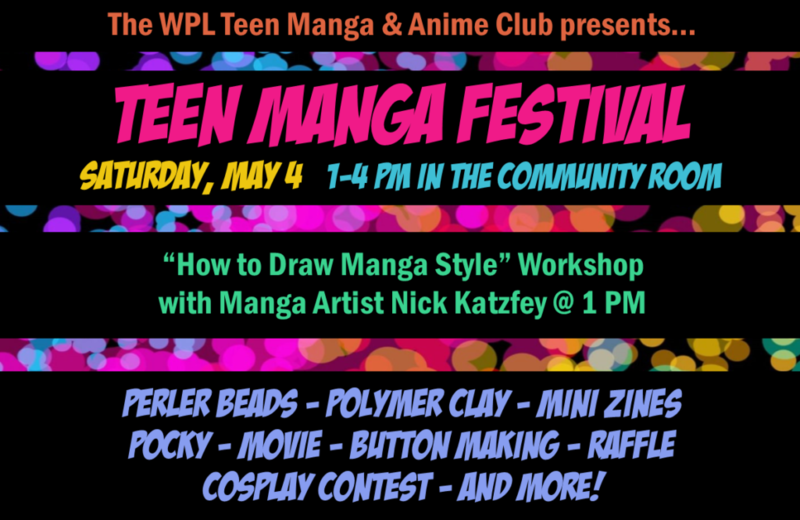 Join us on Saturday, May 4 for the annual Teen Manga Festival! The afternoon will start off with a presentation by Nick Katzfey, “How to Draw Manga Style.” Then there will be crafts, snacks, a movie and a Cosplay Contest! Teens in grades 7-12 are invited. Snacks and supplies will be provided. Questions? Call (262) 524-3682. 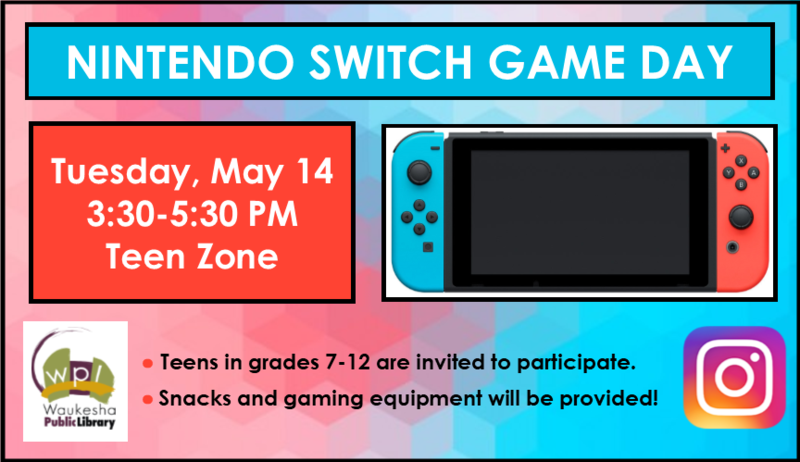 Spend the afternoon on Tuesday, May 14 in the Teen Zone gaming on our brand new Nintendo Switch! Teens in grades 7-12 are invited to attend. Snacks and gaming equipment will be provided. 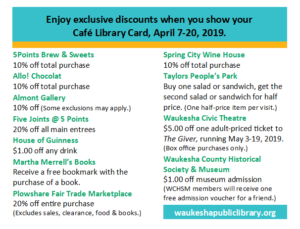 In celebration of National Library Week, Waukesha Public Library has partnered with downtown businesses to thank you, our library card holders, for loving our library. From April 7-20, simply show your library card at any of the businesses listed below, and receive a special discount. 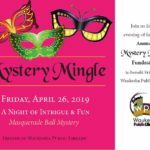 Thank you for supporting Waukesha Public Library! Can’t remember your library card number? Set up a username! Want to place holds or access your account without having to remember your library card number? Now you can! Setting up a username is easy and can be done from the comfort of home. A username may be used to log into your account in place of using your barcode number. Once you create a username, the system will send you an email confirming the change. Your username can be used interchangeably with your library card number to log into your account. Your username will NOT work for logging into OverDrive or Libby. Please contact the Reference Desk at 262.524.3682 with any questions. Last week, the Library installed a new piece of public art into our permanent collection. Sandhill Cranes by Tom Rauschke is a wooden mobile installed in the north atrium to fill that space with form, color, and movement. Stop in and take a look at this breathtaking piece. Items placed in our book return are checked in immediately, even when the Library is closed. Exciting news! Starting today, there are no more loan limits on Library AV items, magazines, or pamphlets. What does that mean? Each Library card can have up to 125 items checked out on it from our collection. If you want to check out 125 DVDs, go ahead! Love CDs? Take home as many as you want! As long as you have 125 items or less checked out on your card, you can take home whatever materials you’d like. The only items that still have loan limits are: Laptops (1), Hotspots (1), Book Group Kits (2) and Launchpads (1). Please check with the Reference or Circulation Desks if you have any questions. The number of holds allowed per card is still 40. © Waukesha Public Library 2018. All Rights Reserved.